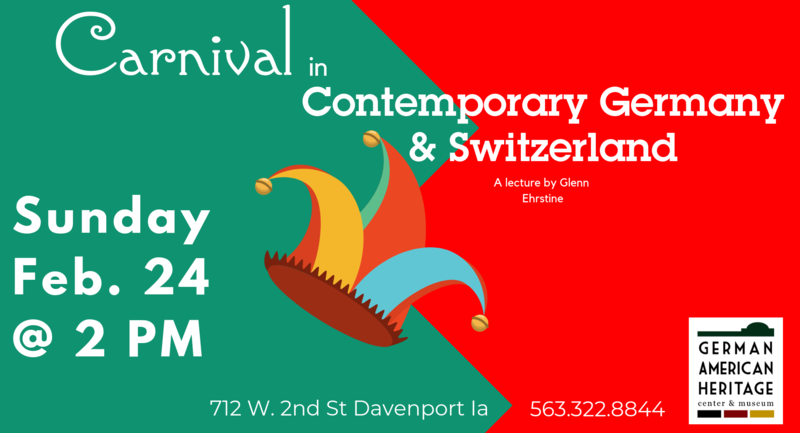 Join us at the German American Heritage Center on February 24th @ 2PM for another fascinating talk by Glenn Ehrstine! Carnival is known in Germany as the “fifth season,” a time unto itself when normal rules of behavior don’t always apply. Culminating in the week before Ash Wednesday, the celebration takes on many forms, from the clowns and satirical floats of Rhineland “Karneval” to the eerie witches and goblins of the Swabian-Alemannic “Fastnacht” with their carved wooden masks. Join us for a look at the carnival traditions of Cologne, Düsseldorf, the Black Forest, and Basel.